Why I like this nonmedical “therapy” for dementia? What has caught my attention in Pharma, Biotech, Biomedicine and Science in the last weeks? Here is a selection of the news, articles, papers, findings, risings, falls as I have read, heard, discussed, been involved in. Very subjective, not pretending to be comprehensive or representative. Just my selection. My MedScan in the past weeks. A usual view on how the genes affect development of diseases might be changed soon. Stanford researchers in their new paper showed that not only disease-modifying genes focused around certain disease pathways but virtually any gene in the individual´s gene pool adds to the heritability of a disease. These thousands of genes with their small but altogether significant adding up to the “core” gene set might explain why some people do not get a certain disease despite a clear predisposition found in gene analysis and vice versa. As Stanford researchers say: “…we propose that disease risk is largely driven by genes with no relevance to disease and is propagated through regulatory networks to a much smaller number of core genes with direct effect. If this model is correct, then it implies that detailed mapping of cell-specific regulatory networks will be essential task for fully understanding human disease biology”. There are strong implications for basic science and therapeutic approaches, if the model which scientists call an “omnigenic” model, is correct. At the end, the message is quite clear- we need to look at what happens in our organism in much more complex way as we have looked until now. And this is true not only on a gene level. Most of the intracellular as well as extracellular proteins are glycosylated. Glycosylated proteins, as recognised in the recent decade, are involved in processes of coding and decoding of biological information, in other words, they play important role in diseases and health. As the glycosylation pattern of a protein can be changed during development of a disease and treatment, simple, fast and cheap methods to assess these patterns are highly desired. Czech and Slovak researchers have recently published a paper where they introduce a label- and reagent-free method for detection of interactions of sialylated protein PSA (prostate specific antigen, a biomarker for prostate cancer) with two important lectins based on an electrochemical principle. This electrochemical method can be used for distinguishing of healthy people and patients with prostate cancer and has many other uses as well. Furthermore, the Slovak authors of this publication, the group of Dr. Jan Tkac, are very active in developing of different diagnostic approaches and devices based on glycans in area of oncological, metabolic and virus diseases. Worthy to check! Why I like these nonmedical therapies for dementia? After being confronted with many partial pieces over recent years on Alzheimer´s disease as one of the dementia diseases, I am very excited to see a more complex approach. This approach, without drawing a “warranted” hypothesis on dementia causes, is however nonmedical (actually not using a special drug for that purpose) and it collects published findings, experiences and observations throughout human life. Imagine that one third of about 47 millions living with dementia today would never develop it. Subtract at least the same amount of caregivers and we are not talking yet about costs. And imagine that it could be in our hands, in the way how we live and how we take care of our health. 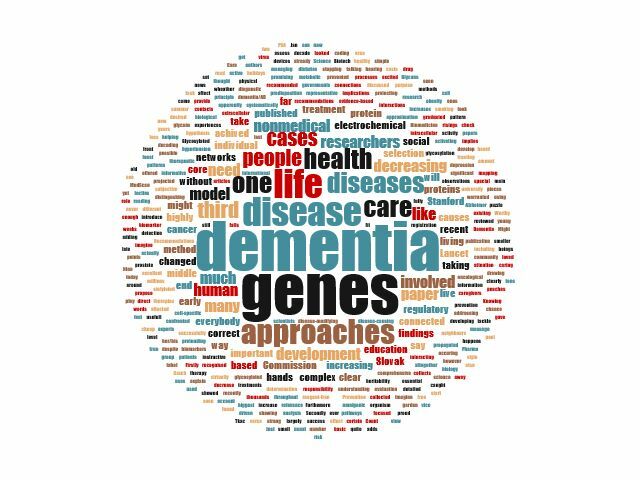 24 international experts involved in the Lancet Commission on Dementia Prevention and Care systematically reviewed existing research and came with evidence-based recommendations on prevention of dementia development. And their approximation on decreasing dementia cases is very promising- one third of all dementia cases can be prevented if we start already in early life. Recommendations are connected to education, life style, taking care of our health and social connections. But far more, the paper is very informative and instructive in individual as well as community approaches to tackle dementia and to provide all possible care to the affected people. 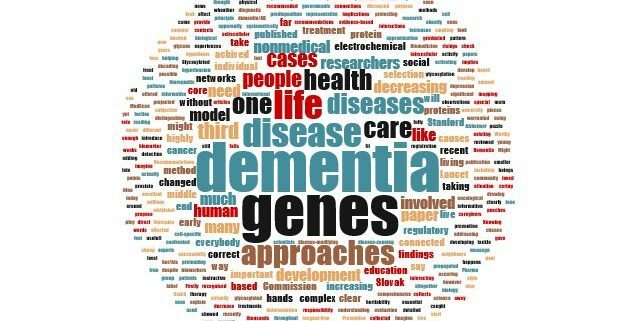 The one third decrease in dementia cases can be achieved by increasing early life education, addressing hearing loss, decreasing obesity and hypertension in middle life and stopping smoking, treating depression, increasing physical activity and social contacts and managing diabetes in late life. Nine main points which can be achieved by all of us if we care. And why I like this approach so much? Firstly, we have it in our hands, it increases everybody´s own responsibility for her/his health. Secondly, apparently decreasing of dementia cases by one third as projected by the Commission would be so far the biggest success we have ever seen with any dementia treatment/prevention efforts. And, third, it is showing us clearly that living and interacting with other human beings is very useful for our health and being with our old loved ones, including them into our life, protecting them, activating them, helping and taking care can increase their chance to live without dementia. Might be we will need such caring as well, once. I would say, a highly recommended reading for everybody, from young people to governments, offered for free (against registration) by Lancet. https://martinalutter.com/wp-content/uploads/2017/07/25-30.jpg 480 640 admin https://martinalutter.com/wp-content/uploads/2016/04/web_logo1.png admin2017-07-28 14:31:432017-07-28 14:57:06Why I like this nonmedical “therapy” for dementia?